Thanks to everyone who came today to wish Doug a happy birthday and to encourage him for the last part of his journey. 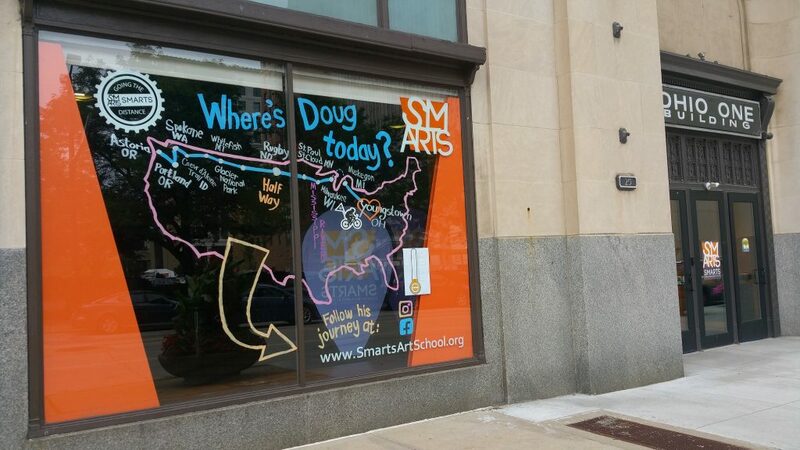 Go to our SMARTS website at https://www.smartsartschool.org/going-the-distance-for-smarts-donation/ to “Donate By The Mile.” $5 = each mile so please donate for 1, 5, 10, 20, or more miles. Please help make Doug’s remaining trek from Youngstown to Rehoboth Beach, DE as successful for him and SMARTS as possible!